1928 Bordeaux belongs to the club of back to back successful Bordeaux vintages as it was followed by the even better 1929. 1928 Bordeaux is the product of a very hot, dry summer. The combination of high heat and drought made the skins tough, especially with the Cabernet Sauvignon, which added to what was already shaping up to be an excruciatingly tannic vintage. Perhaps that’s why some of the Merlot based wines of the Right Bank offer more pleasure, even if they are also on the tannic side of the style range. The 1928 Bordeaux harvest began September 18. Because 1928 Bordeaux wines were offered for sale just as the world wide, economic depression was in full bloom, much of the stock remained unsold for decades. Add that to the fact that the were impossible to taste when young, and you get an understanding of why some stock of 1928 Bordeaux can still be found for sale from time to time in auction houses and in private collections. Many experienced tasters feel Chateau Latour is the wine of the vintage. Another wine for my bucket list! 1928 Bordeaux wines can easily be thought of as an earlier version of 1986 Bordeaux. 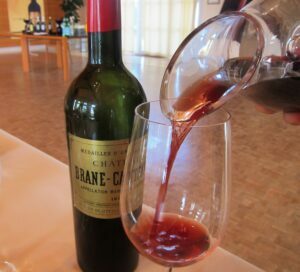 The best 1928 Bordeaux wines took more than 50 years to mature to soften enough to be civilized. Some of the more tannic wines took even longer! 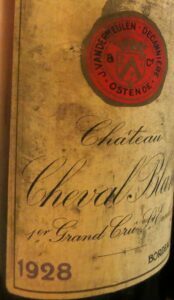 Even today, while aromatically complex, most 1928 Bordeaux wines are still hard, firm and austere in nature.